New-age gurus and life coaches want to give you advice on how to be successful, meanwhile they drive a POS and struggle to pay their gas bill. Mystic carnies and pompous fire-walking, trust-fallers shouldn’t influence the decisions you make in life; however, the wisdom of our boot engineers should definitely impact your boot decisions. Take the Sage boot, a heat moldable Intuition™ Plush Foam Liner is combined with a Die Cut EVA Insole to give you all day comfort and support. The decision to include a BOA® Coiler™ with the Closer™ lace guide is an ingenious one because it gives you a precise fit with fewer spins of the dial, while the Closer™ lace guide distributes lace tension across the entire boot to give you a comfortable, pressure point-free fit. 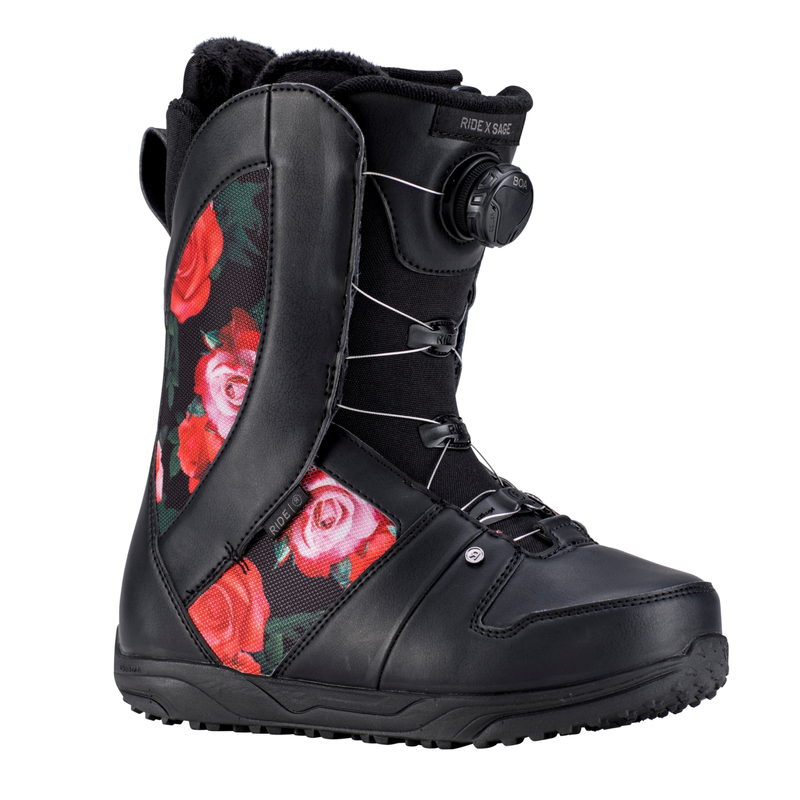 Trust in the wisdom of our engineering gurus, the Sage is a mid-flexing snowboard boot that will help you progress past these difficult stages you are currently facing… in snowboarding. Solid, proven support and comfort that keep your feet comfy when you’re in your boots all day long.